It was often said that the Great War was "an old man's war." The truth of the assertion was proved beyond doubt when only the ages of leading commanders and some statesmen' were considered. While millions of very young men were paying the price of war with fatal illness, wounds, and sudden death, the men who were directing the sacrifice, who were determining just how many hundreds or thousands should be sacrificed, were nearly all middle-aged and some were really old men. Joffre, when the war began, was well over sixty, Kitchener and French were also over sixty, Hindenburg was sixty-seven, and Italy's leader, Cadorna, was seventy. Of the two German generals in command of the Austro-German forces that swept through Galicia in 1915, Linsingen was sixty-five and Mackensen sixty-four. Elderly and old men performed deeds in this war that would imprint their names indelibly on history. Oldest of them all was Clemenceau, seventy-six. August Anton Ludwig Mackensen was was born on December 6, 1849, at Haus-Leipnitz, near Schmiedeberg, in the Prussian Province of Saxony, to Louis and Marie Louise Mackensen. August Mackensen was the son of Ludwig Mackensen and Marie Rink. Born into a middle-class family, like Ludendorff and Kluck, he seemed destined to the peaceful life of a modest country gentleman like his father. He was a delicate child, and at the village school he achieved leadership among the sturdier peasants only by his intelligence. He was so devoted to his home that when the time came for him to attend a high school some distance away, the little fellow begged his father to build another story on the village school so that it might become a "high school" and he need not go away. Later he attended the gymnasium and university at Halle. While he early showed an interest in military games and studies at school - as, indeed, most normal boys do - he also dramatized and adapted plays for children, and developed so strong a love for music that he became a proficient pianist. Mackensen once said, "I am proud of being a son of the people, and not of the so-called upper ten thousand!" He made his way from obscurity with no help save his own ability. His career, as well as Hindenburg's, Joffre's, and Foch's, began in the Franco-Prussian War when he was a plain one-year volunteer, the son of a Saxon country squire. Mackensen began his military service in 1869 as a volunteer with the Prussian Second Hussar Body-Guards (Leib-Husaren-Regiment Nr. 2). When the Franco-German war began he went to the front with his regiment in the humble capacity of "Vice Wachtmeister", something like a corporal in the French army. This son of the people rapidly proved his mettle and quickly gave proofs of remarkable ability, of a courage to be relied on, and, above all of an intelligence full of resources and always grasping what was necessary to do. Ordered with a small detachment of hussars to make a reconnaissance in the direction of Worth, where one of the great battles of the war was fought, he found that a bridge across a river, giving access to the village, had been destroyed. Only the supports were standing, but he managed to crawl from one support to another and so crept stealthily into the village and got the information needed, but he found the village filled with Zouaves, who opened fire on him. With great difficulty he got back within German lines. At Dannemois Mackensen was with a group of Hussars who charged the French position in order to avenge the death of their lieutenant, von Horn. A desperate fight ensued, but again Mackensen escaped without an injury. This fight had a happy sequel. A few years later, young Mackensen fell in love with the sister of Lieutenant von Horn, whose death he had wished to avenge, and they were married. But before this happy romance was consummated in 1879, there were years of struggle and hardship. After marching to Paris with the German armies and seeing Wilhelm of Prussia crowned German Emperor at Versailles, he entered upon the long years of peace that ensued by going to the University of Halle, intending to devote himself to a civilian career. He seems to have played a social role of sorts, and was a hero at cotillions for a time. "Dancing and riding make life gay," was one of General von Mackensen's beliefs in later days, and in his youth he lived up to his faith. His versatility showed itself in literary and artistic productions that are marked by a strong sense of humor. A club journal that he edited is headed, "Irresponsible Editor, Mackensen," and he even wrote the words for some humorous songs. But war had spoiled him for civilian life. To be a soldier was his passion, and after much persuasion his parents agreed to his entering the army as a lieutenant of Hussars in 1873. He was so poor at the time that he never bet on the races nor gambled, two favorite sports of young officers. When his mother asked him whether his comrades did not tease him for this, he answered, "Yes, they tease me, but they respect me for it." In 1876 he became adjutant in a cavalry brigade; in 1878, first lieutenant. From the first he was devoted to horses, and "it is an old complaint of his that Germany thinks too much of her big guns and not enough of her cavalry. He would like all the glory to go to the Hussars, whose uniform, decorated with the Iron Cross won in 1870, he has always worn." In 1892 he wrote a history of the Hussar Body-Guards for the celebration of the 150th anniversary of the regiment, in which he recounted their exploits in the Franco-German and other wars. In 1880 Mackensen joined the General Staff, and soon after was made a captain of the General Staff, without ever having attended the War College. In rapid succession he became major, colonel, the Kaiser's adjutant, brigadier-general, and on January 27, 1899, as a birthday honor, the Kaiser conferred nobility upon him. In 1905 General von Mackensen lost his wife, with whom he had lived happily twenty-six years. Of their four children, the three sons enlisted in the Great War. The year 1908 was a notable one in the general's life, for, on January 27th, he was made commander of the Seventeenth Army Corps at Danzig, the old, historic city over which Poland and Germany came to blows; and here he lived quietly and happily with his second wife, whom, as Leonie von Osten, he married in this same year. Their home became a centre of hospitality where officers and civilians mingled freely, for two of the general's sons were professional men. Recklessness in youth gave place in the mature Mackensen to an imperturable calm. He was called "sphinx-like," because of his aversion to unnecessary conversation. He never discused a plan until it was distinctly outlined in his own mind. Then he was willing to listen to comment and criticism, and would make any changes that subordinates convinced him were necessary. Mackensen was one of the few German officers who had not graduated from the War College, and yet he was recognized as one of the greatest strategists in the army, a master of organization and concentration. Like Hindenburg, he had been ignored at the beginning of the war. His troubles with the Crown Prince had culminated early in 1914 in a request that either he or the Prince be removed from Danzig. The result was that Mackensen remained and the Prince was recalled. He had been Emperor William's military instructor when that monarch was heir to the throne, and then the Emperor's son became his pupil. When the Crown Prince was suddenly recalled from his regiment at Danzig on January 1, 1914, the press intimated that relations between the Prince and his superior officer had been strained. The Crown Prince, however, declared emphatically that this was not the case, and stated, "I am on terms of intimate friendship with His Excellency von Mackensen; I have been a guest in his house frequently and gladly, and between us there is the most cordial relation." Then the war broke out, and the Prince was placed in command of an army in the West, while Mackensen was left to cool his heels in the East doing obscure tasks. Not until some months passed did he emerge, as second in command to Hindenburg on the Russian front. His first achievement was his skillful extrication of his army from envelopment east of Lodz. After that every task of critical importance in the East was committed to Mackensen's hands. His smashing blow on the Dunajec opened sensationally a new and formidable phase of the war. The operations that followed, by which the Russian left was forced back to the Privet marshes, revealed a grim power not inferior to Hindenburg's and a constructive subtlety which Hindenburg had never shown. His campaign in Serbia was on a smaller scale, but here again his strategy was of a fresh and original character that commanded the respect of students of war. Just as the sudden rise of other men in this war had made people in 1914 ask, "Who is Joffre?" or "Who is Hindenburg?" so they had asked, "Who is this man Mackensen? What has he ever done before?" When Hindenburg hurled his legions upon Russians covering Lodz at the end of 1914, Mackensen was his-right-hand officer. He drove into the heart of the battlefield, got himself surrounded by Russians, and was close to annihilation, when he rallied his men and cut a pathway through with bayonets, not only saving his army but seriously shattering the Russian forces. He had "escaped from the trap and taken the trap with him," somebody said. The lion's share of the glory went to Hindenburg; but there was plenty of it left for Mackensen. He was often called the hero of Lodz as well as of Galicia. 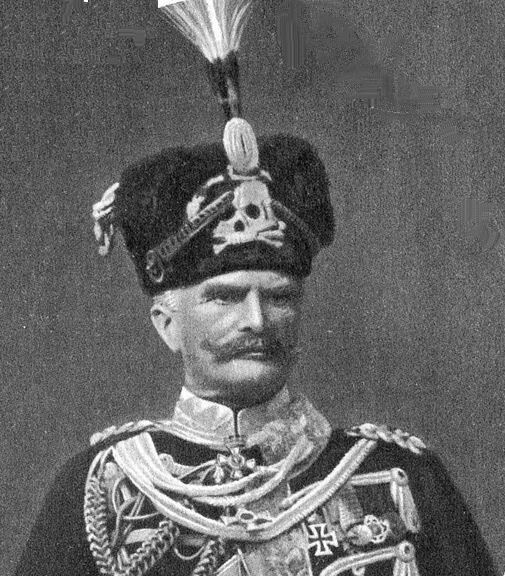 After the battle of Tannenberg, Mackensen won a place in German annals that for at least two years equalled Hindenburg's. Of all the great reputations made by the War, that which had the greatest reclame was probably the least important - Hindenburg's, although his victory in the Masurian Lakes was for the time one of the few decisive incidents of the war; it was a victory in a complete and real sense, and due entirely to superior generalship. On ground that he knew thoroughly Hindenburg had maneuvered Samsonov's army into swamps and achieved the most sensational victory of the war, at once revered as the savior of his country, until in the popular imagination he overshadowed every other figure and had the whole nation at his feet. Great as the achievement was, it was not as great, however, as the public estimate of it made it seem. It was inflated in importance by the East Prussian panic that had preceded it. Those who followed campaigns with expert knowledge and examined battles in detail held Mackensen in higher regard than Hindenburg. After the Dunajec and the great drive into Russia that followed in the summer of 1915, Mackensen received a monster petition from the German people expressing their gratitude to the "Liberator of East Prussia" - a term they had applied to Hindenburg the year before, after Tannenberg. The hussars with whom he had served in 1870 remained his first love. He usually wore their uniform, and his first Iron Cross, won as a hussar scout, was pinned to it. August von Mackensen was one of the world's great cavalry officers and a specialist, like Hindenburg, in maneuvers. The moment Mackensen took charge of the operations in Poland the military experts of Europe knew that the cavalry would play a most conspicuous part in the execution. Mackensen was one of the gods of the Hussars of the Death's-Head, the regiment with which the Crown Prince was connected for so long a time. Maekensen as head of German and Austrian armies, in the drive of 1915, smashed through the Russian lines on the Dunajec with extraordinary swiftness, crumpled them up and sent them headlong backward with armies that had been surging over the Carpathians threatening the Hungarian plain. He pursued them relentlessly to the San, crossed in a tempest of artillery-fire, wrested from them the fortress of Przemysl (two months after it had been taken from Austria), and threatened Lemberg, which had been the first fruit of the Russian onslaught of 1914. Looked at from any angle, Mackensen's achievement was tremendous. It will live alongside other audacious and brilliantly successful military feats. Many stories were told of his democratic demeanor. During the Lodz campaign against Russia he issued strict orders to outposts to allow nobody to pass, except with a special permit signed by himself. One day he and several staff officers were inspecting outposts, when a Bavarian trooper, disregarding the coat of arms on the automobile in which Mackensen rode, stopped his party at a rifle's point because they could not show passports. Officers with Mackensen in vain told the sentry that he was delaying the commander-in-chief, Mackensen said nothing, except to send for the commander of the outpost, who, on arriving, ordered the sentry to let him pass. A few days later the Bavarian trooper, by express direction of Mackensen, was made a sergeant. These and similar actions endeared him to soldiers. The word of the "old man" was law, his judgment infallible. During the early stages of the fight around Lodz he was repulsed with great losses, but his soldiers never murmured. "It's part of the old man's plan," they said, and went cheerfully on with the battle. No campaigns in the war were studied by military experts with more attention than those of Mackensen. Unlike Hindenburg, he was silent, almost morose, a characteristic popularly attributed to the loss of a much-beloved wife, but in reality his manner was the natural habit of a singularly absorbed and self-contained man. His brevity of speech was the expression of a ruthless temper. In the severity of the demands he made on all who came under his will, as well as in his cold and concentrated silence, he was reminiscent of Kitchener. Miracles were performed by soldiers and civilians during his advances, not because of affection for him, but because of fear. When the armistice was declared on November 11, 1918, Mackensen was still in Rumania, whence he tried to lead his army through Hungary to Germany. Yielding to the demands of the Hungarian Republic, he submitted to internment at the Chateau of Foth, near Budapest. To the French he seemed so dangerous, even in the state of internment, that they sent the head of the French military mission at Budapest with four squadrons of colonial cavalry to seize him. Although the field-marshal declared: "I protest against this arrest. I am a prisoner of the Hungarian government and acknowledge no other authority here," he was removed to the Chateau of Count Chotek, brother of Sophie, wife of that Archduke of Austria whose murder in Sarajevo on June 28, 1914, precipitated the World War. Mackensen had received many honors, including degrees from two universities. With it all he remained a simple, hard-working soldier. By the early 1940s Hitler and Joseph Goebbels suspected Mackensen of disloyalty but could do nothing. Mackensen remained a committed monarchist (notably, he appeared in full uniform at Kaiser Wilhelm II's 1941 funeral in contravention of Hitler's order that no military officers attend the funeral). Mackensen died at the age of 95, his life having spanned the Kingdom of Prussia, the German Empire, the Weimar Republic, Nazi Germany, and post-war Allied occupation.